President Grant's house is an important U.S. historical site for the backyard / small-farm chicken raising community. 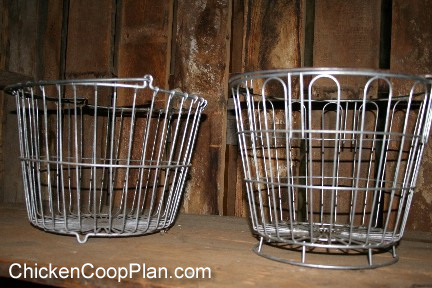 Today, you can still find the same baskets, usually coated with a plastic coating so they're softer on the eggs but still able to dunk in water to clean the eggs. Today pricing starts at around $27 for a 6-inch high, by 8-inch wide - 3 dozen egg capacity sized basket. Additionally, here's some shots of the raised nest boxes. There used to be several rows of the hens nesting boxes, but for now they just have the 3 nests remaining. Front ledge piece to hold in the bedding material, and also provide a little more protection for the hen. 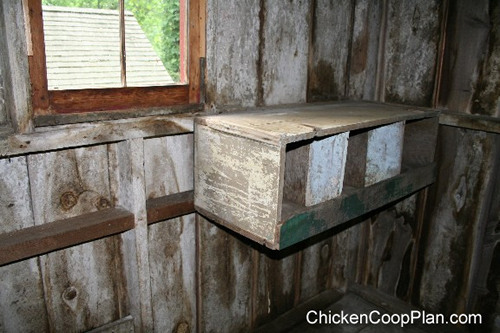 If your nesting boxes are at 24 inches high, it is recommended that your roosts always be higher than that. 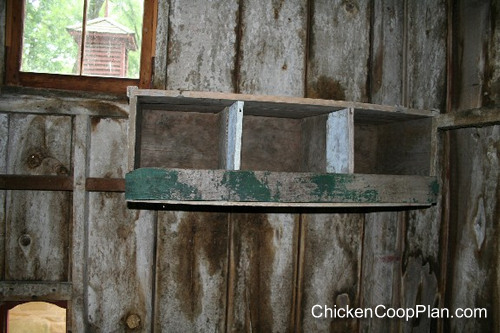 Chickens almost always roost in the highest spot they can find - they feel safer there. So if your roosts are at the same height, or below your nesting boxes - your chickens will roost in (and soil or dirty up) your nest boxes. There is no hidden latch or outside access to the nest boxes. You have to walk inside of the coop to gather the eggs. Many chicken house designers today swear by having outside, quick, and easy access to the nest boxes. You might keep that in mind when you are building your coop.